A few months back, Malala Yousafzai, a 17-year-old Pakistani human rights activist, won the Nobel Peace Prize for advocating for gender equality and equal access to education in the Middle East (and just for encompassing inspirational greatness and blessing humanity with her endless compassion, etc.). The teenager, who survived being shot in the face, is now an international hero, and we love her. In short, Yousafzai is seriously incredible. To see ~young kids~ react so smartly, and so passionately about such a wonderful, inspirational person truly makes me feel hopeful about the world. Like, maybe humanity will be okay after all. But seriously, watching high schoolers realize just how lucky they are to live in a country where education is actually FORCED upon them is awesome. Ultimately, we are all these teenagers. 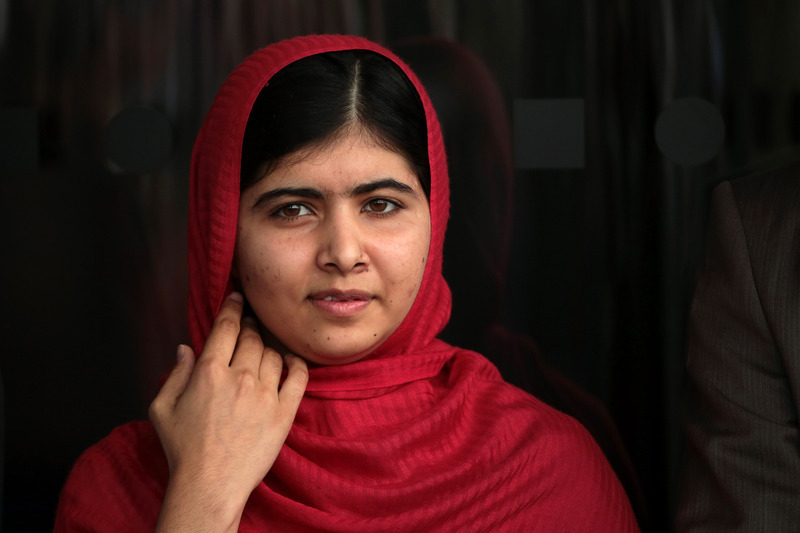 We are all forever amazed and in awe of the brilliance that is Malala Yousafzai.